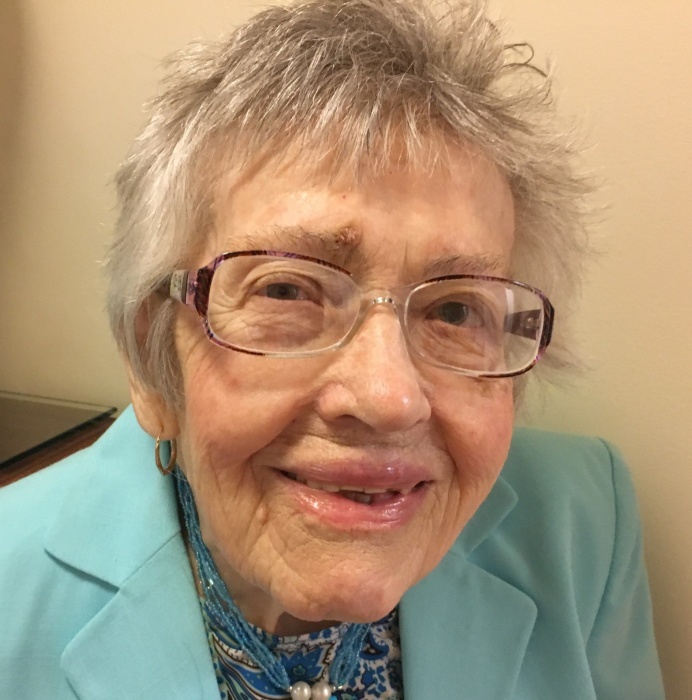 Olga Bruner, 96, formerly of Highfield, died Thursday morning, January 31, 2019, at the V.N.A. Inpatient Hospice. Born November 10, 1922 in Lyndora, she was a daughter of the late Karl Boshko and Natalia (Marchuk) Boshko. She was a 1941 graduate of Butler High School. Following High School she was a homemaker and mother. Olga was a member of St. Andrew Orthodox Church in Lyndora, where she was also a member of the Sisterhood of the Altar and enjoyed participating in the Church pirohi making. She enjoyed baking and had loved animals. Surviving are her daughter Pat Bruner of Saxonburg, 1 niece, Carol Travers of Freedom, PA and 1 nephew, Dennis Dancik of Butler. In addition to her parents, she was preceded in death by her husband, Francis Edward “Ed” Bruner; 1 daughter, Natalie Klaus; 1 sister, Ann Dancik and 1 brother, Paul “Dave” Boshko. Friends will be received at the Geibel Funeral Home, 201 East Cunningham Street, Butler, from 2:00 p.m. until 5:00 p.m. Sunday. Funeral Services will be held on Monday, at 11:00 a.m., at St. Andrew Orthodox Church in Lyndora. The Rev. Keith Lowe, Pastor, will officiate. EVERYONE IS ASKED TO PLEASE MEET AT THE CHURCH. Interment will follow in North Side Cemetery, Butler. Parastas Services will be held at 4:30 p.m. Sunday at the Funeral Home. Memorial Donations may be made to the V.N.A. Inpatient Hospice, 115 Technology Drive, Butler, PA 16001.